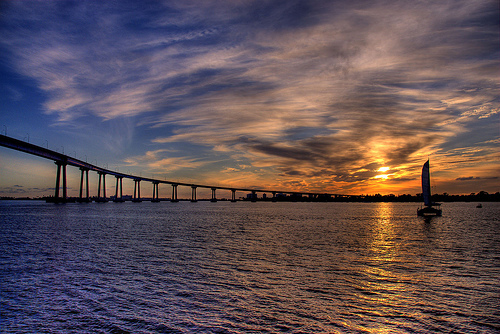 Charter a private jet with Charter Flight Group for travel in and out of San Diego, California. There are several general aviation airports in close proximity to downtown San Diego – San Diego International, Montgomery Field and Brown Field. As private jet charter experts for over three decades, we proudly offer charter flights to these airports and hundreds of others to make your personal and corporate air charters the perfect combination of flexibility, reliability and safety. Our Charter Flight Group private air consultants will find the safest and best private jets to accommodate all of your requirements for travel to and from domestic and international destinations. Our exclusive network includes state-of-the-art private jet aircraft, such as the very light four-passenger Citation Mustang, the midsized twin-engine Hawker 800/800XP, the twin-engine high-speed Lear 31, and the 13-passenger Falcon 900, to name a few. Charter Flight Group will surpass all of the expectations you have of customized private jet charter service. Rent luxury private jets for recreation or enjoy a business jet charter to any one of San Diego’s private jet airports. Contact CFG to organize your private flights. We are available 24 hours a day, 7 days a week, and 365 days a year to arrange your business or leisure travel in and out of San Diego. Charter Flight Group is committed to the safety, comfort and privacy of your family, friends and business associates. Our carefully-selected global jet partners are required to meet the stringent Federal Aviation Administration (FAA) Part 135 standards for aviation operation, aircraft maintenance and licensing. 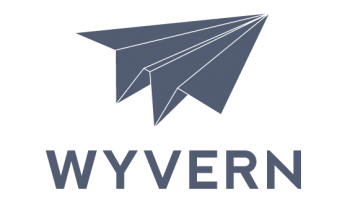 In addition, we have selected aviation safety leaders Aircraft Research Group of the United States (ARGUS) and WYVERN to perform third-party safety audits on all private charter flights we arrange. San Diego International Airport (SAN), also known as Lindbergh Field, is San Diego’s primary commercial and general aviation airport. It is located three miles from the center of San Diego and 15 miles from the United States’ border with Mexico. Dedicated on August 16, 1928, the airport was first named San Diego Municipal Airport – Lindbergh Field for Charles Lindbergh, who began his historic transatlantic flight in San Diego, and in honor of his “Spirit of St. Louis” which was built there. San Diego International Airport was the first certified airfield in the U.S. to serve all types of aircraft, chiefly due to the airport’s exclusive use by the U.S. Army Air Corps during World War II. Improvements had been made so that Lindbergh Field could accommodate heavy bomber aircraft and this contributed to its readiness for the imminent popularity of jet passenger aircraft. Montgomery Field Airport (MYF) is located about six miles north of downtown San Diego. When it opened in 1940, it was called Gibbs Field. Taken over by the U.S. Army Air Forces, the airport was expanded to three runways to support military flight training and storage of B-24 Liberator bombers that were being manufactured in San Diego. After the war, the airport was renamed for aviator John J. Montgomery who had flown the first controlled flight in a glider in 1883 from Otay Mesa. Montgomery Field Airport is one of the busiest airports in the nation for small aircraft. Brown Field Municipal Airport (SDM) is located in the Otay Mesa area of San Diego, about 13 miles southeast of the business center of San Diego and 1.5 miles north of the U.S./Mexico border. Known as East Field when it opened in 1918, the airport was first used by the U.S. Army and later primarily by the U.S. Navy. In 1962, it was converted for general aviation use and renamed in honor of USN Commander Melville S. Brown. Brown Field Municipal Airport provides relief from air traffic congestion around San Diego International and is a regular port of entry for private aircraft entering the U.S. from Mexico. In addition to private and corporate air charter service, Brown Field accommodates air ambulance, aircraft rental, fire rescue, cargo, skydiving and banner towing. Other general aviation airports in the San Diego area include McClellan-Palomar Airport (CLD) in Carlsbad, California, Gillespie Field (SEE) in El Cajon, California, which is home to the restoration facilities for the San Diego Air & Space Museum and the annual Wings Over Gillespie air show, and Ramona Airport (RNM) in Ramona, California, east of San Diego, which hosts the annual Ramona Air Fair. The San Diego area is also home to several military airbases. We can arrange on-demand private charter flights in and out of San Diego International for leisure and business travelers or to and from Montgomery Field and Brown Field for those who want to avoid the congestion of Lindbergh Field. Clients chartering private aircraft to and from all of San Diego’s general aviation airports will have convenient access to downtown San Diego from domestic and worldwide destinations. Charter Flight Group proudly provides private jet charters to the greater San Diego area to meet your individual travel needs. Leisure travelers can enjoy world-renowned resorts, such as La Costa Resort & Spa, Rancho Bernardo Inn and the Manchester Grand Hyatt, historic hotels such as Hotel Del Coronado and US Grant Hotel, and many championship golf courses. Surfers, swimmers, sunbathers and sailors will appreciate the year-round sunshine and the many beautiful beaches, yachts and fishing charters along this area of the Pacific coast. Callaway Golf Company, Jenny Craig, Inc., the Gemological Institute of America, and Life Technologies, Inc. Recreational private air charter clients will welcome the easy access to SeaWorld, the San Diego Zoo, Wild Animal Park, Seaport Village, Legoland, and the USS Midway aircraft carrier museum. 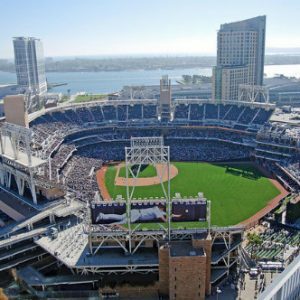 Take the family to a San Diego Padres baseball game at Petco Stadium, a San Diego Chargers football game at Qualcomm Stadium, or dine, shop, and walk around the historic Horton Plaza and Gaslamp Quarter. Catch top-notch theater and music performances from the renowned La Jolla Playhouse and San Diego Symphony. Why Choose Charter Flight Group for your Jet to San Diego? As a private jet broker, Charter Flight Group provides access to a huge network of private jet charter aircraft. Our private jet charter planners will help you safely and conveniently transport your business partners, staff, family and friends in and out of San Diego’s airports, or to any one of thousands of other worldwide destinations. We offer you highly competitive prices for round trips, empty legs and one-way legs, experienced pilots and professionally maintained private charter aircraft. Whether you are headed to San Diego for business or pleasure, Charter Flight Group will provide you with the unsurpassed safety, flexibility and privacy.